You've created the next revolutionary product--congrats!--but now what? There are quite a few steps you need to take if you want a successful startup and launch. You need to find your domain, choose an eCommerce platform, start building your audience and put your keyboard to work. Here are the most essential tips and tricks for successfully launching your eCommerce startup. First thing's first. Find a domain that corresponds with the name of your store and ideally is available as a ".com". The “.com” extension builds credibility because it has the highest recall value among domain extensions. In other words, your .com website and domain name will be better remembered compared to any other extension. Plus, many browsers today take the .com extension as the default. Instead of getting an error page, your visitors will be taken directly to your website. The value of this action can't be overstated. Choose something easy to remember and avoid using hyphens in your domain name. And always preview search engine results pages to see what other associations show up when searching for you. 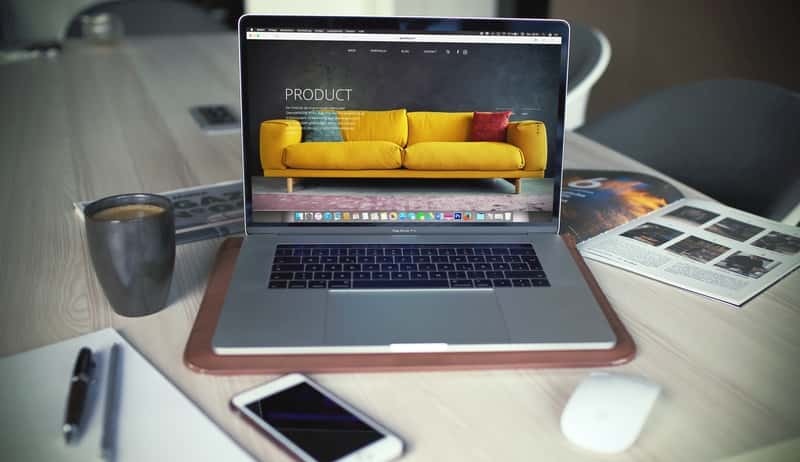 When it comes to choosing your startup's online selling platform, there are two major players in the game – Shopify and Squarespace. Both of these eComm platforms offer multiple plans, but we'll compare the plans with the full suite of eComm features. Squarespace's “Advanced Online Store” plan costs $46/month (lower if you pay annually) and Shopify's “Shopify” plan costs $79/month (lower if you pay annually). Squarespace’s plan costs 3% of every order plus the Stripe fee which is 2.9% + 30c per transaction. Shopify charges 2.6% + 30c-- plus 1% if you choose a third party gateway to process payments. An important thing to note is that Shopify can be used almost anywhere and with most currencies because it integrates with over 100 different ‘payment gateways’ (third-party credit card processors). Squarespace is limited to just Stripe and PayPal (which is normally sufficient for US and Canadian sellers). There are some other features that only Shopify can offer and should be considered: point of sale technology, dropshipping, and advanced reporting. Squarespace comes with more themes and templates compared to Shopify, so if a beautiful site design is important to you, go with Squarespace. Squarespace allows CSS customization to their templates which means an experienced designer can create a custom site that is unique from the original template. You can also showcase other content well on Squarespace while Shopify is geared more toward the sales process. You should consider both platforms, decide which features are most important, and then choose accordingly. If you have specific questions about any eCommerce platform, reach out to us -- we love creating custom sites that allow eCommerce startups to thrive and grow their online presence. Before your store is launched, you'll want to start collecting email addresses and building referral traffic. Use a service like MailChimp (free up to 2,000 subscribers) to send out newsletters and emails and build your audience. Once you have a prospective customer’s email, you can easily update them on promotions, new products, flash sales, etc. Social Media: Your emails should always encourage the reader to follow your social media and your social media should always encourage the reader to subscribe to emails and newsletters. Content: Produce consistent interesting content and have an email sign-up field. On-site: Use user-friendly pop-ups For example, once a user has viewed 5+ pages, ask for their email in exchange for 10% off. In-store: If you have a brick and mortar store, have an incentive to sign-up for email, and remember to ask customers when they check out. Strategic and targeted emails make customers excited while too many may annoy and potentially cause customers to unsubscribe. Taking the time to separate your MailChimp list into different sub-lists will help you smartly target your customers. For example, create a list that is for first-time buyers so you can follow-up on their satisfaction and sell to them again. Another list could be VIP customers that have spent a certain amount of money and can be offered special deals. According to Leadpages.net, your "About" section is typically one of the most-visited areas of your website. By making it personal and sharing your story, you're creating a compelling brand voice and personality. (We're fans of organic pictures that show there’s a human behind your eCommerce business). Who do you stand for? What does your company value? When users visit your company's About Us area, what should they discover about you and your business? Instead of the typical mundane, resume-style descriptions of the staff, you could offer something memorable about your company that resonates with users. Your values help define who you are as a person and as a business. They communicate your authenticity and uniqueness. Articulating your company’s values can differentiate you from your competitors if you take the time to do it right. This process and outcome instill confidence and trust in your customers and fosters relationships with your brand. If you really want to wow your audience, consider creating a video. Video is a powerful tool that can elevate your communication and showcase your core values. According to Salsify’s 2017 “Cracking the Consumer Code” report, 87% of shoppers rate product content "extremely" or "very" important when deciding to buy a product. And 50% have returned an item they bought online because it didn’t match the product description. In short, product details and descriptions will help you achieve more sales. In fact, after price, your product's description is the most important factor of the buying decision. Use words that specifically-target the buyer persona you have developed. Describe your product's benefits over simply listing features. User hyper-specific keywords in your product description for chances of ranking in organic searches. When used right, your FAQ page can benefit customers at different parts of the purchasing journey—whether they’re in the consideration phase looking to understand how you source your product or an existing customer troubleshooting a problem with their order. An FAQ page presents a unique opportunity to directly address concerns and remove obstacles on the path to purchase translating to more sales. But you should also anticipate objections that you can turn into questions, especially if the answer will put your customer’s mind at ease. Consider how you can strategically raise the right questions to educate customers about your products and create demand. When deciding how to choose the questions in your FAQ section, focus on relevancy, utility and opportunities to turn that question into engagement or conversion. Even if the question is about a potential shortcoming in your product or business, you can frame the answer in a positive way. While you should demonstrate authority through the depth of your answers, be sure you’re not losing your audience by giving them more than they need. There is a lot that goes into successfully launching a new eCommerce brand or product line, and the tips above are just the tip of the iceberg. For more helpful tips, subscribe to the Bigfoot Blog or reach out for eCommerce and digital consulting. Bigfoot Web creates exciting and easy-to-use platforms for startup eCommerce businesses. Contact us today to see how we can help make your eCommerce startup a success. Receive news, updates and offers from Bigfoot Web! © 2017 Bigfoot Web, All Rights Reserved.